In over 20 Years there's a LOT of experience to share. Our first location was opened in 1997, even though the concept wasn’t franchised until 2011. We have experimented with different space usages, from small to large, to adults and more to find out what works. Effective strategies for paying stylists. Efficient systems for controlling costs. Procedures tried and true for preventing employee theft. 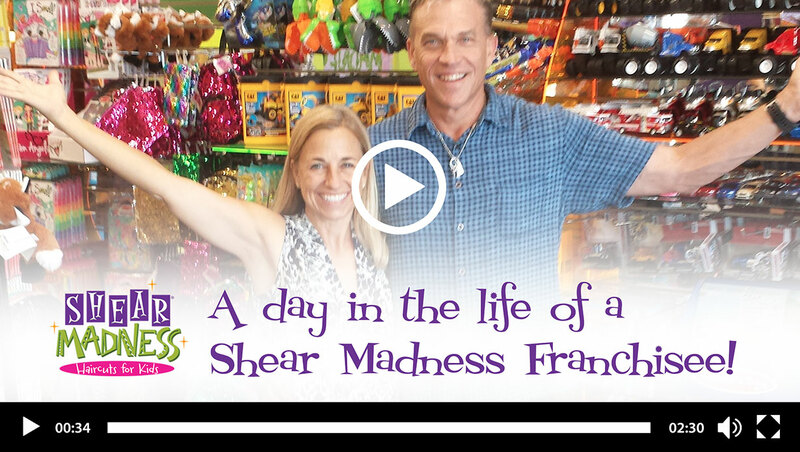 Marketing the Shear Madness brand - we know how to get the best bang for your $$$! Best service and menu strategies for your best profit. Systems for keeping a salon in ship shape. We partner with you – saving your $$$ and shortening your learning curve. Our Success Equals Your Success, and it Shows! 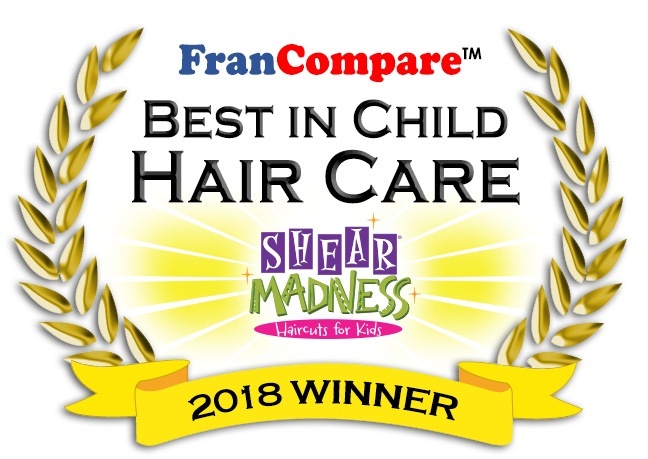 Voted the number # 1 children’s salon franchise by Francompare for 2018 , an independent rating service based in Oakland California. No franchise closures to date. 30% of current franchisees are multiple unit operators. 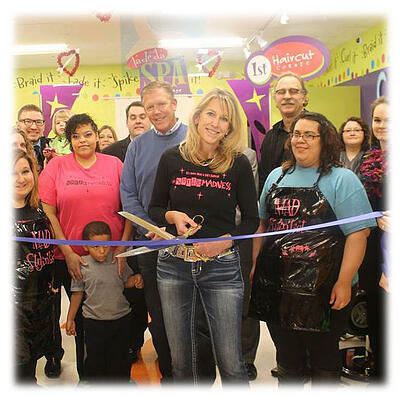 Shear Madness Haircuts for Kids Awarded the SBA Small Business of the Year Midwest District. Voted one of the top 25 businesses in Kansas City by Small Business Monthly. Voted Nickelodeon’s Best Place to get a Haircut. 2012: Opened our first franchise location in San Antonio. Award winning Franchisees! 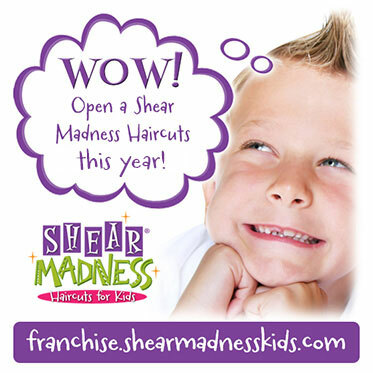 – Shear Madness Haircuts for Kids in Albuquerque, Des Moines and Ankeny voted the best place to get a kids haircut in their markets! Our goal is to make every child feel special any way we can! 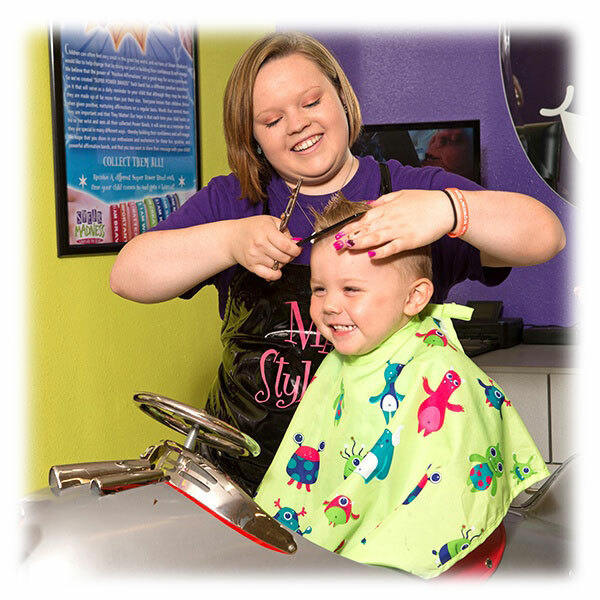 The stylists are accommodating to each child whether they have: special needs, don’t like haircuts, cutting their hair to donate, or it’s their first haircut ever! 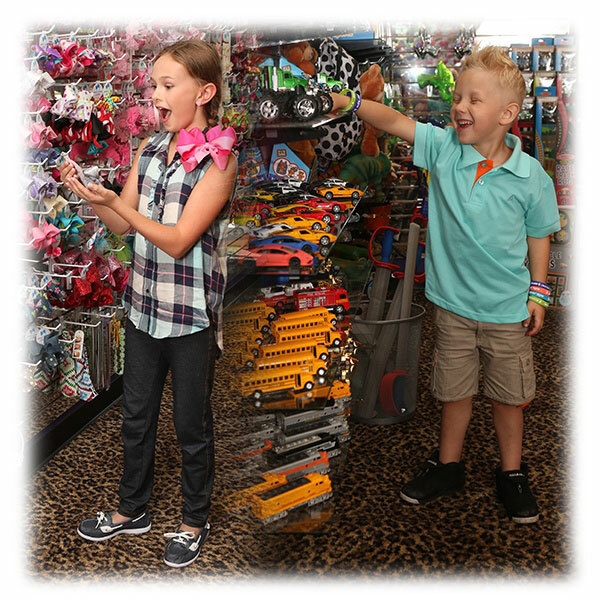 Between great stylists, cool cars, video games, parties and the toy store kids never want to leave! When wearing our stickers and Power Bands with empowering sayings every child can remember why they are so special and why “Every Child Matters”. YOU and YOUR success matter to US! Help with contractor and design. Training both at our home office AND at your location. Training with a stylist, manager, AND owner. Monthly educational meeting for all owners. Marketing calendar, newsletter, e-blasts done for you. Our Intranet site is FILLED with every resource you can think of for your use! 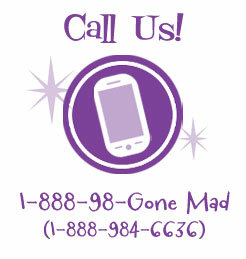 Support of all kinds just a phone call away – we are still small enough to care about YOU! Constant development to stay current both with technology, marketing, retail, and more.